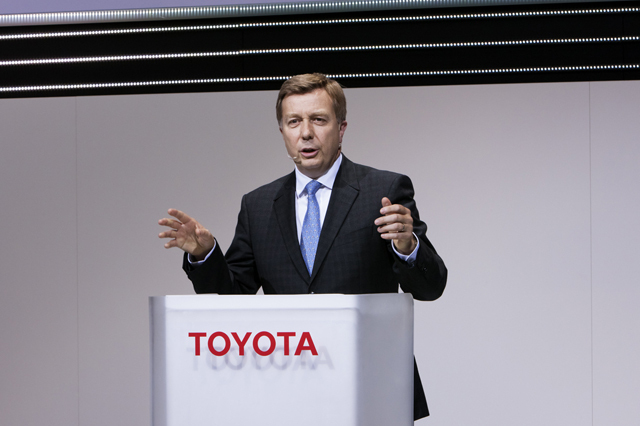 Didier Leroy, President of Toyota Motor Europe, looks his usual relaxed self when we catch up with him on the second day of the 2014 Geneva Motor Show, writes Andrew English. You get the impression that it’s all in a days work for this affable 56-year old Frenchman – whose personable introduction quickly reveals that he collects new jobs, but doesn’t seem to drop his old ones. According to the business card, he’s not just Toyota Motor Europe’s president, but also its chief executive. He’s a chief quality officer for Europe and was appointed a Senior Managing Officer for the Toyota Motor Corporation in Japan in 2012. And as if that weren’t enough, he is also chief executive of the Europe Region and managing director at TMG – Toyota’s European Motorsport division. But is his toughest test still ahead of him? Having been appointed president of TME in 2010, Leroy and his team have fought to get the company back into shape and making sustainable profits. Now he faces a new task, that of making Toyota cars better to drive, and more exciting… As decreed by Toyota Motor Corporation President Akio Toyoda in 2010. “We didn’t make a big noise about this, but it’s been done.” he says confidently. …And who is to disagree. When the red and blue AYGO cars drove on stage for their big Geneva reveal there was a genuinely positive reaction from a normally skeptical press corps. Created as part of a joint venture with PSA Peugeot Citroën and built at the alliance’s Czech Republic factory, Leroy is delighted with the new model, which he says has a powerful design that marks the AYGO out from the other cars in the joint venture. And finally, it’s time to talk fuel cell cars. 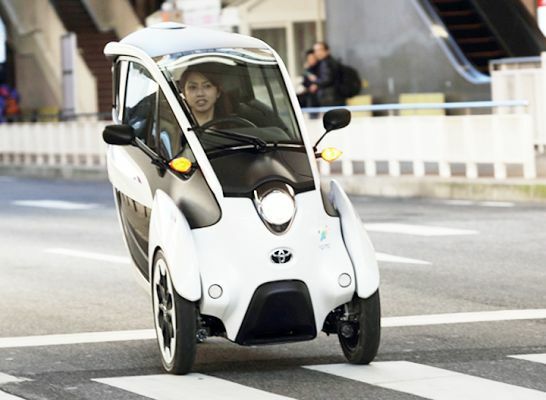 Toyota announced that it will have a commercially available fuel cell vehicle in Europe within 18 months. You could wonder if that will affect its hybrid sales – that grew in Europe by 43 per cent last year to 156,000 units. Leroy doesn’t see it that way, and points out that Hybrid sales are on track to eventually occupy half of all Toyota sales in Europe, and in any case – fuel-cell cars use Hybrid technology. He lays out his vision, which sees electric vehicles as having a key role in urban areas but limited use outside of cities, meantime fuel cell sales grow slowly as society tackles the issues of cost and infrastructure. And with that my tape recorder clicks off; time’s up. Leroy jokingly slumps, “Now, I am off, just like your recorder” he grins. He’s talked virtually non-stop for half an hour and with his next interviewer waiting outside, shows no sign of lagging. But then did you really expect him to? How is Toyota doing in Europe?